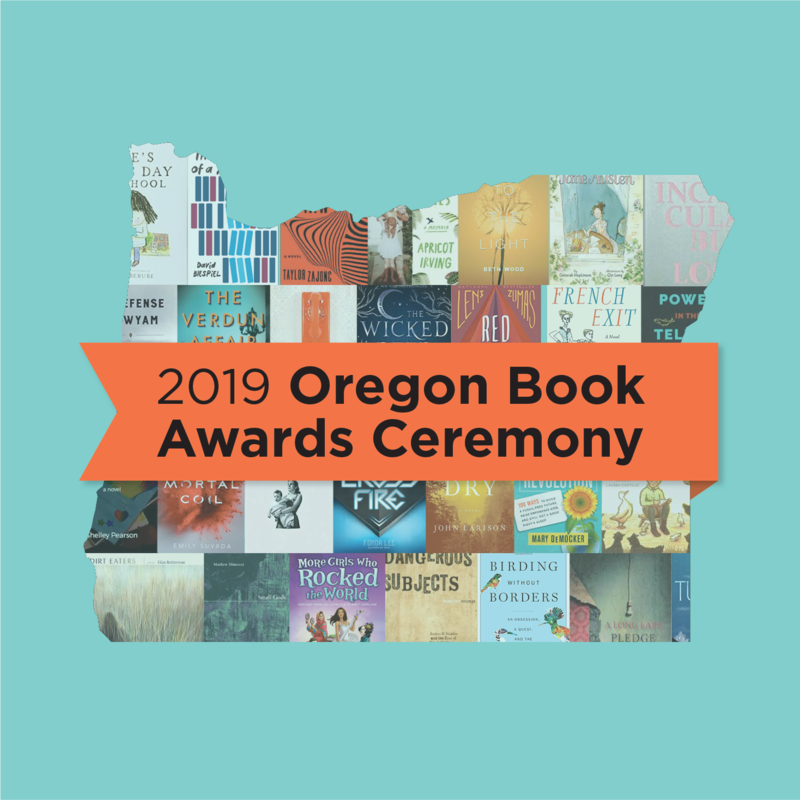 The Oregon Book Awards are “named to honor Oregon’s literary community.” There are eight categories of awards, each named after a prominent Oregonian, and with a new category for graphic literature. Click here to read about each category. This month I read all the books (except one which is still on hold at my library) in the Eloise Jarvis McGraw Award for Children’s Literature category. I love reading books for children, so this little project was a very enjoyable one for me. There are five nominees for this award, and the winner will be announced on April 22, 2019. As I read each one, I could easily understand why each was nominated. They are all award-winners in my estimation — such a nice selection of books! I recommend all five of these books to anyone who loves children’s literature! Although I liked each one, there was one that completely won my heart. A Boy, a Mouse, and a Spider: The Story of E.B. White, by Barbara Herkert and illustrated by Lauren Castillo, is a very special book that introduces children to the life of the author of Charlotte’s Web and Stuart Little. It is beautifully written with lovely illustrations, and for all of us who dearly love Charlotte’s Web, it shows that the ideas for that special book came right out of E.B. White’s own childhood experiences. 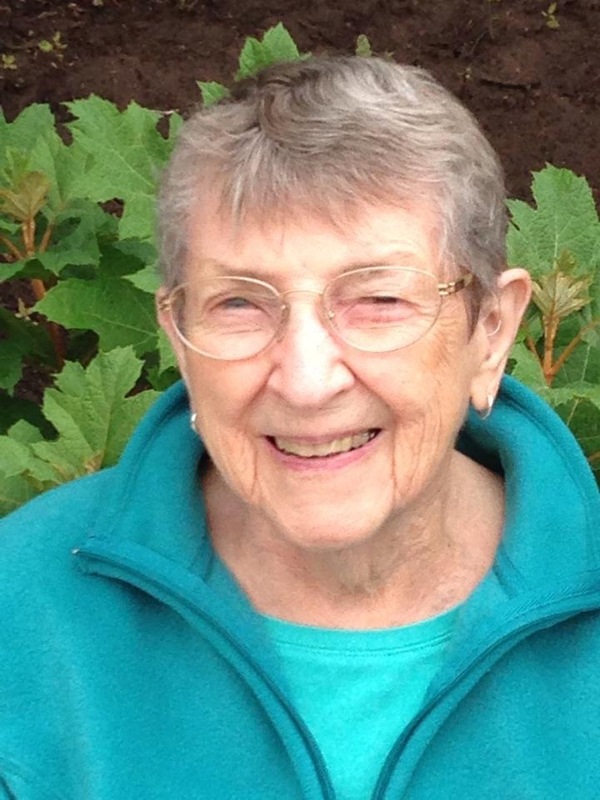 This entry was posted in Award Winning Books, Children's books, Oregon on February 21, 2019 by Robin. 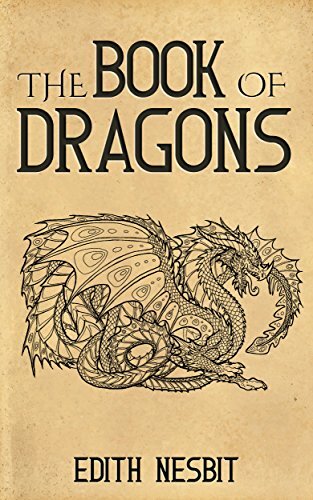 The Book of Dragons, by Edith Nesbit, is a series of nine dragon stories. Each dragon is a different color or made of different stuff, and each one causes different problems. These stories for children are fun. I didn’t enjoy this book as much as some of her others — I loved The Psammead Trilogy and The Railway Children. 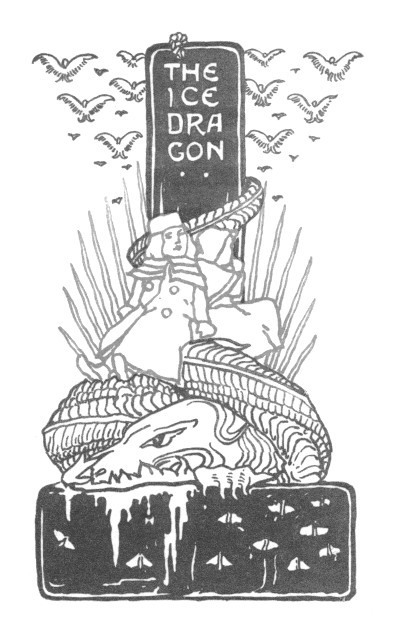 But if you enjoy dragon stories, or know a young one who does, I definitely recommend books by Edith Nesbit. She’s terrific. Dragons — of all sorts — make for marvelous fun, and this collection of madcap tales is filled with them. Some of the legendary monsters are funny and mischievous, others are downright frightening, and a number of them are wild and unpredictable. There’s a dragon made of ice, another that takes refuge in the General Post Office, a scaly creature that carries off the largest elephant in a zoo, and even a dragon whose gentle purring comforts a tiny tot. And who challenges these amazing creatures? Why, daring heroes, of course, as well as a wicked prince, and even an entire soccer team — which, unfortunately, meets its fate with a fire-breathing brute that flies out of the pages of an enchanted book. This entry was posted in Children's books, Classics, Fantasy, TBR pile on February 17, 2019 by Robin. 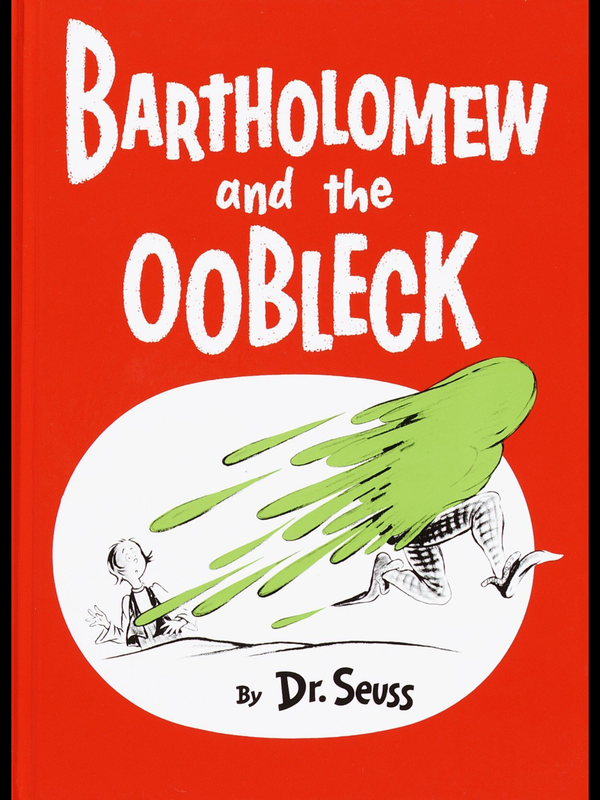 Bartholomew and the Oobleck, by Dr. Seuss, was published in 1949, so I grew up listening to this book and his other Bartholomew book, The Five Hundred Hats of Bartholomew Cubbins. Both books were, and still are, so much fun! When I was researching books written in my birth year, I was happy to find the Oobleck book on the list! As a kid, as a Mom, and now as a Grandma, I have always adored Dr. Seuss! And even though this book is seventy years old, it still provides timeless fun and humor. Bartholomew is just a regular kid in the Kingdom of Didd, where King Derwin is not the smartest king on record. 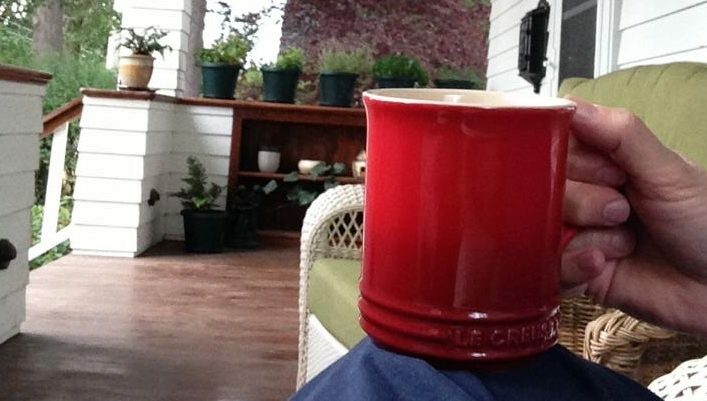 It was wintertime, and King Derwin was very tired and bored with the weather. If you’ve already heard the story of The Five Hundred Hats of Bartholomew Cubbins, you know that the royal magicians are a bit bumbling. They can start magic, but can’t seem to finish it very well. They don’t have a lot of control over what happens with their spells! So, when they put together a spell to add something new to the weather, OOBLECK is what they got. And we all know that oobleck is very green and sticky stuff. Thank goodness for level-headed, clear-thinking Bartholomew! 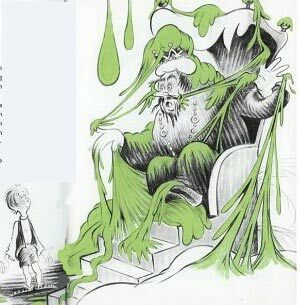 If you or your children or grandchildren want to make some Oobleck, here’s a link to the recipe for the green goop! Enjoy! I read this book as part of my year-long celebration of turning 70 years old. This entry was posted in Birth year books, Celebrating Seventy, Children's books, Classics on February 3, 2019 by Robin. On a trip to the library recently, I picked up two little books that I ended up just loving. Author Brad Meltzer, who is well-known for his thrillers and mysteries, has written a book for his daughter and another one for his sons about inspirational people….our “heroes.” And he also has written a series of graphic novels about heroes. The series is called Ordinary People Change the World, and I’ve read a number of those and liked them very much, too. I definitely would have bought all of these books for my class library if I was still teaching. In both Heroes for My Daughter and Heroes for My Son, there is a one word description of the character of each person he writes about. For his chapter on Dorothea Lange, the word is “Eyewitness.” For Wilma Rudolph, it is “Uncatchable.” And for Thurgood Marshall, it is “Trailblazer.” The last three stories are about his daughter’s Great-Grandmother (“Irrepressible”), and her Grandma (“Designer”), and her Mother (“Fighter”). He tells the story of each person so his daughter can understand what was/is special and heroic about the person, and he also includes direct quotes so that she can hear from each person directly. The graphic novels are little biographies of different heroes, and are nicely written and nicely illustrated. These are lovely, hopeful, inspiring books, and are certainly not just for children. 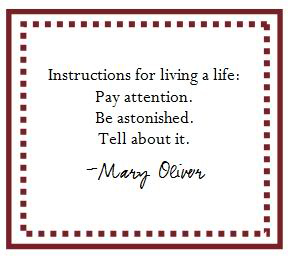 They were inspiring to me, a nice antidote to the ugliness we see so much of these days. This entry was posted in Biographies, Children's books, Graphic novels on January 25, 2019 by Robin. 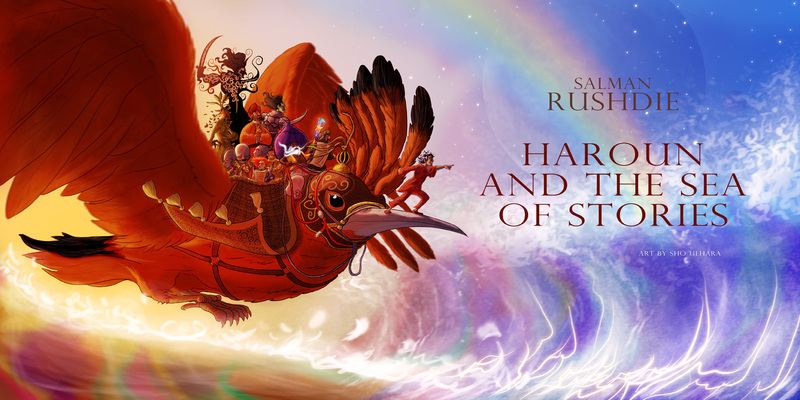 Haroun and the Sea of Stories is a delightful children’s book written by Booker Prize winning author, Salman Rushdie. Set in an exotic Eastern landscape peopled by magicians and fantastic talking animals, Salman Rushdie’s classic children’s novel Haroun and the Sea of Stories inhabits the same imaginative space as The Lord of the Rings, The Alchemist, and The Wizard of Oz. In this captivating work of fantasy from the author of Midnight’s Childrenand The Enchantress of Florence, Haroun sets out on an adventure to restore the poisoned source of the sea of stories. On the way, he encounters many foes, all intent on draining the sea of all its storytelling powers. Haroun’s father, Rashid, was a master storyteller and his stories were much in demand by everyone, but especially by politicians. One day, however, his wife left him for a man with no imagination at all, and Haroun, angry and upset about his mother leaving them, shouted to his father, “What’s the use of stories that aren’t even true?” From that moment on, Rashid’s stories disappeared. Haroun wanted to get those words back, to pull them out of his father’s ears and shove them back into his own mouth; but of course he couldn’t do that. And that was why he blamed himself when, soon afterwards and in the most embarrassing circumstances imaginable, an Unthinkable Thing happened. 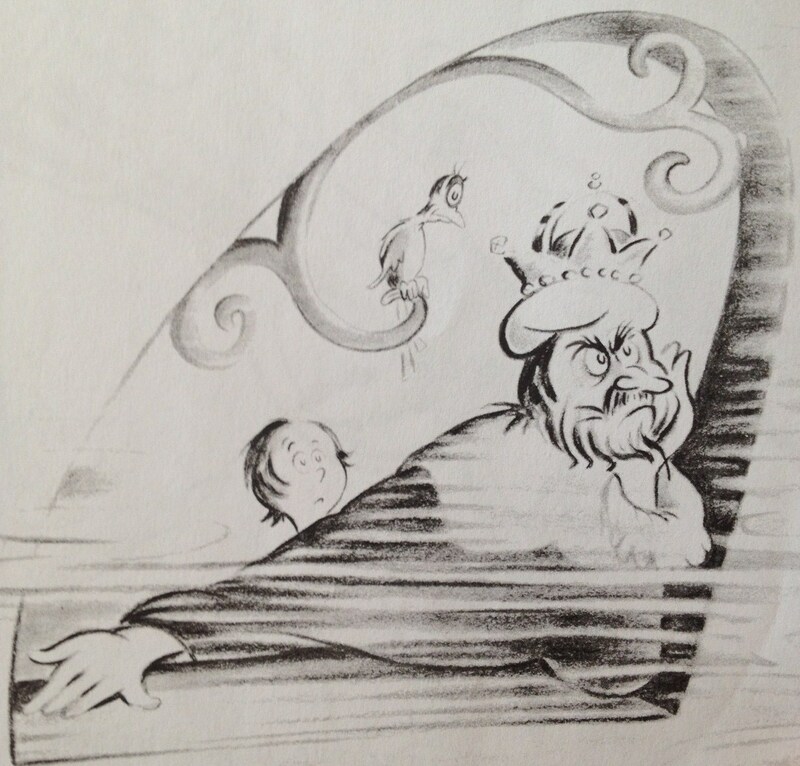 And from that moment on…Haroun seeks a way to find out what happened to those stories, and how to get them back from the Sea of Stories. Adventure after adventure follows. He looked into the water and saw that it was made up of a thousand thousand thousand and one different currents, each one a different colour, weaving in and out of one another like aliquid tapestry of breathtaking complexity; and Iff explained that these were the Streams of Story, that each coloured strand represented and contained a single tale. Different parts of the Ocean contained different sorts of stories, and as all the stories that had ever been told and many that were still in the process of being invented could be found here, the Ocean of the Streams of Story was in fact the biggest library in the universe. And because the stories were held here in fluid form, they retained the ability to change, to become new versions of themselves, to join up with other stories and so become yet other stories; so that unlike a library of books, the Ocean of the Streams of Story was much more than a storeroom of yarns. It was not dead, but alive. This book is a delight to read! The word play and the language of it all are brilliant and fun. I don’t know when I’ve enjoyed a story more and laughed out loud at so many puns and clever ways of describing things. I hope my son will read it aloud to our grandboy because I know they’d both love it. 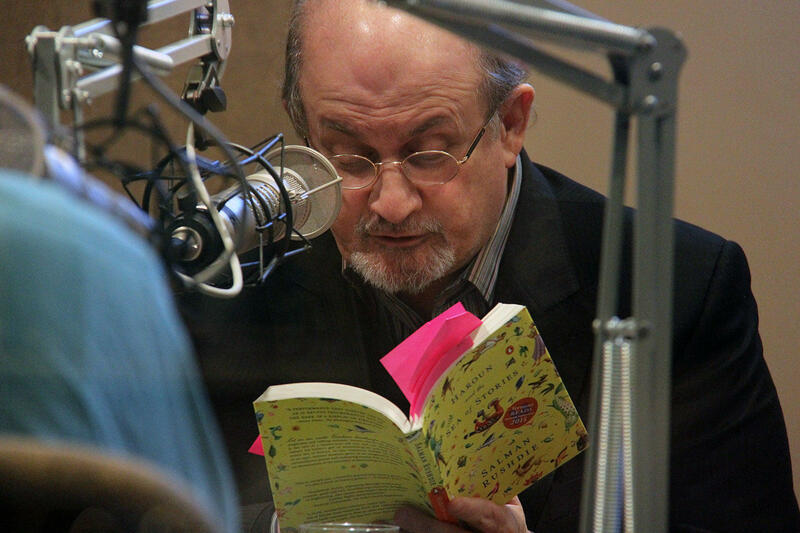 Salman Rushdie dedicated this book to one of his sons after being apart for a long period of time. He also wrote Luka and the Fire of Life, and dedicated that book to his other son. 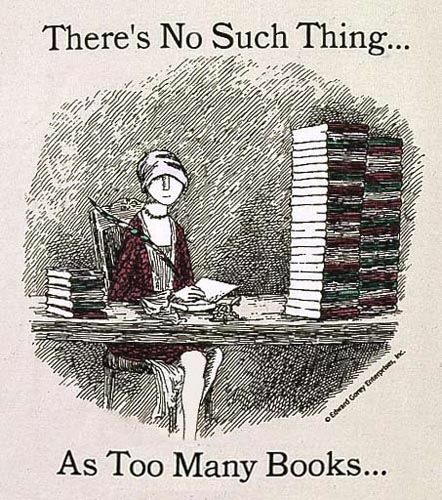 I can’t wait to read that one next! I chose to read this book as one of my 50-books-in-5-years for The Classics Club. This entry was posted in Children's books, Fantasy, The Classics Club on January 22, 2019 by Robin. The Big Snow, by Berta and Elmer Hader, won the Caldecott Medal in 1949. It’s a lovely book for children about the animals in the forest getting ready for a long winter. 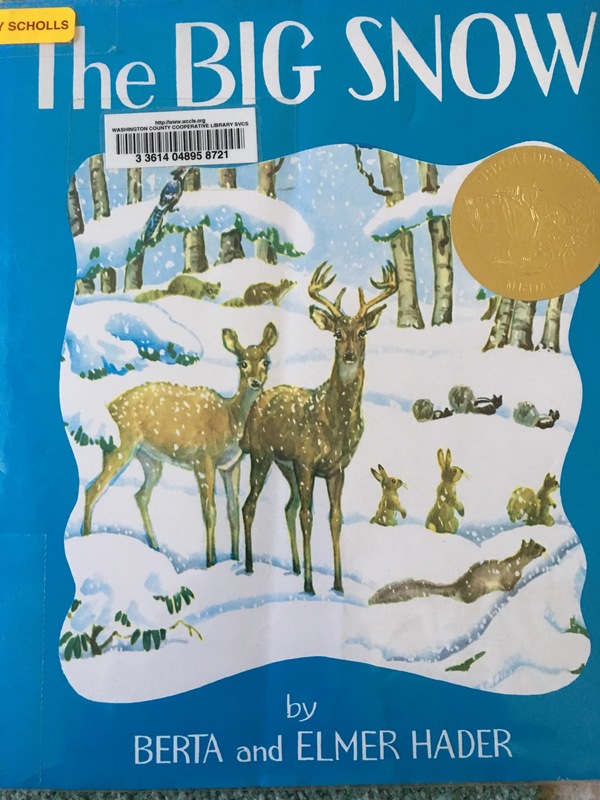 The illustrations are wonderful, and it shows how each of the animals prepares for “the big snow.” Some animals pack away food, some hibernate, some migrate south, and some simply stay for the winter. In this story, however, the winter was a particularly hard one for the animals that stayed put, so the kindly couple that lived in the stone house (most definitely Berta and Elmer Hader! ), helped the animals by spreading seed and corn, hay and bread each day during the snowiest time. It was a book that definitely deserved the Caldecott Medal! 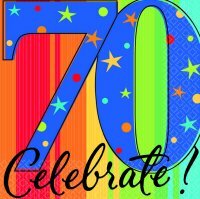 I read this book as part of my year-long celebration of turning 70 years old. This book won the Caldecott Medal in 1949, my birth year. This entry was posted in Birth year books, Celebrating Seventy, Children's books on January 13, 2019 by Robin. 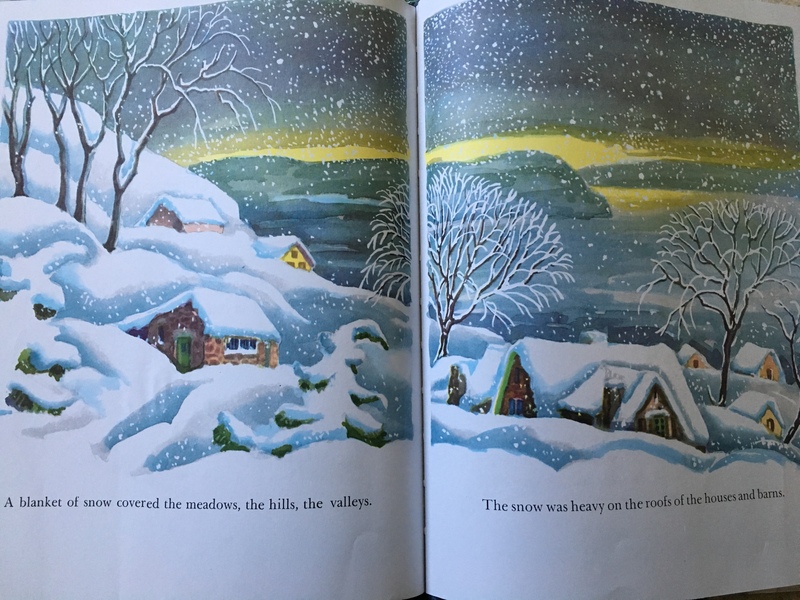 While looking through the books on my grandson’s bookshelf, I found an old family treasure–a book that brought back memories from a Christmas long ago. 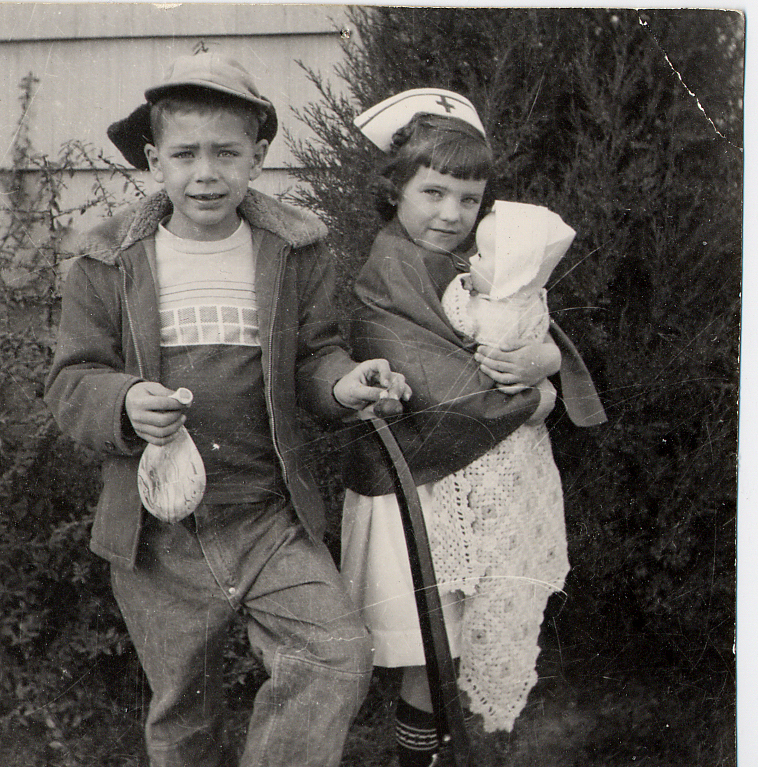 I remember the Christmas I was five years old…I got a nurse costume (which I wore until it didn’t fit any more), and a baby doll (still in a box downstairs). My younger brother, a toddler, burned his finger on a Christmas light (they got hot in those days), and my oldest brother got a chemistry set. I remember him reading some big words and sounding very grown up. Along with the chemistry set, he got a book to go along with it. That’s the book I found on my grandson’s bookshelf. (I think it came to me instead of my oldest brother because our son was the first grandchild in the family.) It brought back tons of memories to look through it. And yes, the grandson has tried some of the experiments in it. They are timeless even though the world has changed drastically since it was published. This entry was posted in Book treasures, Children's books, Memories on December 27, 2018 by Robin. 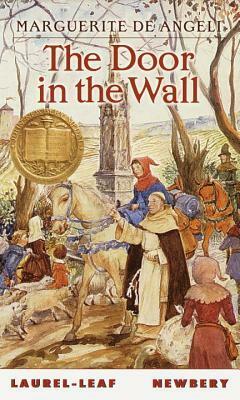 The Door in the Wall, by Marguerite de Angeli, was published in 1949 and received the Newbery Medal for excellence in American children’s literature in 1950. It is a book I remember reading and loving when I was ten or eleven. And as a school teacher, I used it for a novel study when I taught my 6th Grade unit on the Middle Ages. It’s a wonderful story and teaching tool for that period of history, and for that age group. The story takes place in the 14th century, and Robin, who comes from a noble family, is expected to become a knight. Ever since he could remember, Robin had been told what was expected of him as son of his father. Like other sons of noble family, he would be sent away from his mother and father to live in the household of another knight, where he would learn all the ways of knighthood. He would learn how to be of service to his liege lord, how to be courteous and gentle, and, at the same time, strong of heart. Robin’s father was away fighting in a war, and his mother was called to serve as a Lady-in-Waiting to the queen, so Robin was supposed to start his long training for knighthood. However, before he could leave home, he and the servants that were caring for him while his parents were gone became ill. Most of the servants died, and Robin was left alone, ill and forgotten. A kindly monk, Brother Luke, heard that a child was left alone and came to help him. 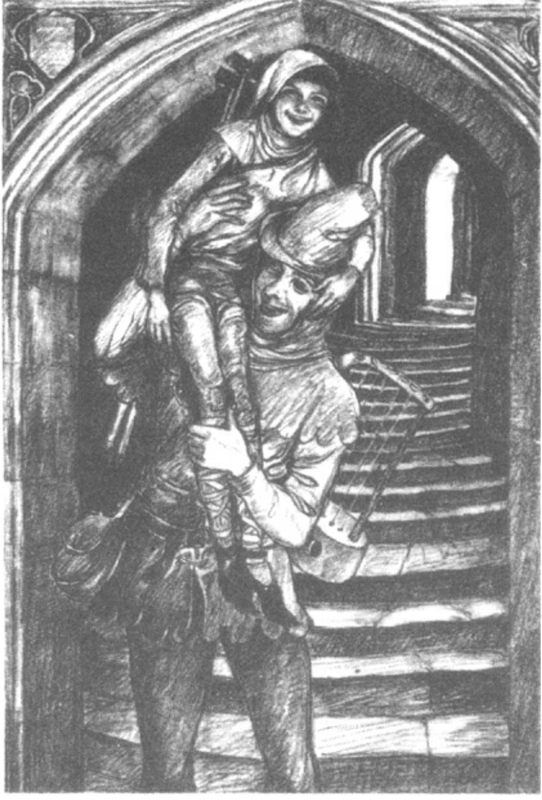 He nursed him until he was well, but the illness left Robin extremely weak and without the use of his legs. The story of his recovery and of how he overcame his limitations both physically and emotionally is what makes this book a wonderful read. Brother Luke was a kind and gentle teacher and caretaker. He and the other monks took Robin underwing, and taught him to read and to do many things for himself. “Always remember that,” said the friar. “Thou hast only to follow the wall far enough and there will be a door in it.” “I will remember,” Robin promised, but he wasn’t sure that he knew what Brother Luke meant to say. The language of the book is challenging for young readers, but the story is compelling and captures the reader. The history and culture of that period of time are masterfully presented and it’s a wonderful immersion into Medieval daily life. But my favorite thing about the book is that it focuses on what is really meaningful in life, then and now. It’s a story about overcoming adversity and learning to understand and accept one’s own strengths and weaknesses. It shows the importance of doing one’s best and being open to opportunities that help you find an enjoyable and meaningful way to give back to the community. And it’s a story of a boy learning how to embrace life, despite the difficulties he faces daily. It’s a story full of wisdom, and our classroom discussions about the ideas in the book were wonderful. None of us is perfect. It is better to have crooked legs than a crooked spirit. We can only do the best we can with what we have. That, after all, is the measure of success: what we do with what we have. A wonderful read and highly recommended! 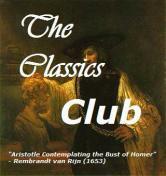 This book was on my list of 50-books-to-read-in-five years for The Classics Club. It was also on my list of Birth Year Reading, a personal challenge. This entry was posted in Award Winning Books, Birth year books, Children's books, The Classics Club on December 7, 2018 by Robin. What a delightful book! 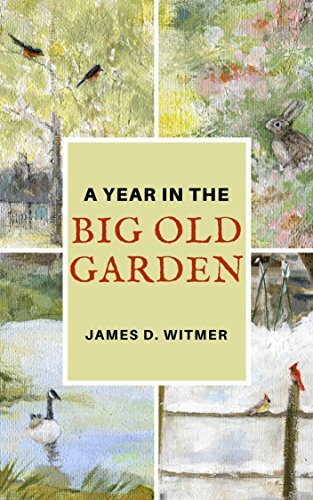 A Year in the Big Old Garden, by James D. Witmer, is a treasure to be shared with young and old. The illustrations are beautiful and the stories are full of fun humor, kindness, and lots of good information about the natural world of the big old garden. Although the stories were written for children, they are both timeless and ageless, and a must read! I write about adventure, small woodland creatures, and what happens when you realize there are no ordinary places. This book is available for Amazon Kindle, or as a printable PDF. 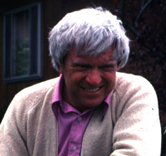 Click here to read an interview with the author, James D. Witmer. 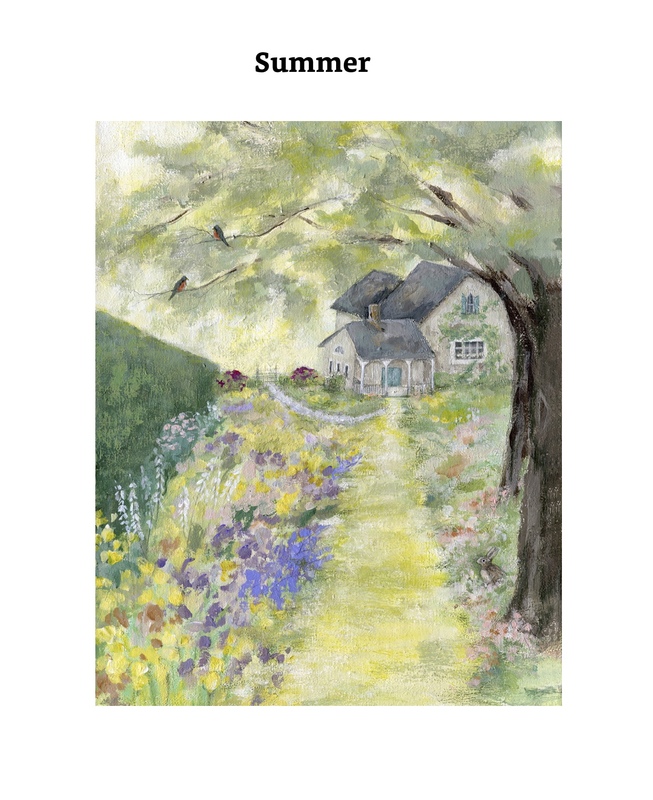 This entry was posted in Children's books, Gardens, Nature on August 25, 2018 by Robin. 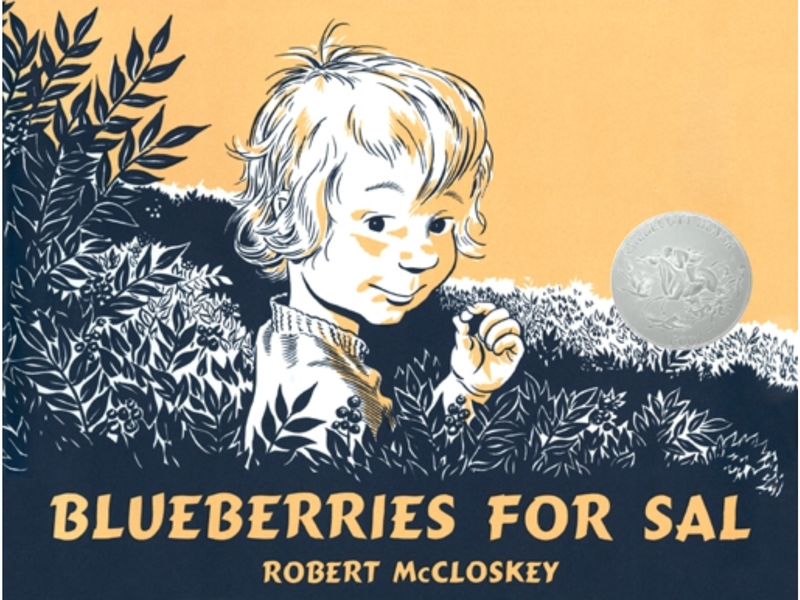 The other day, as my family and I were munching on blueberries from the Farmer’s Market, I once again thought of Blueberries For Sal, by Robert McCloskey. I adored this book when I was little, and my children adored it when they were little, too! When I pulled our tattered copy off the shelf to look at it, I discovered that it had received the Caldecott Honor Medal in my birth year, 1949! 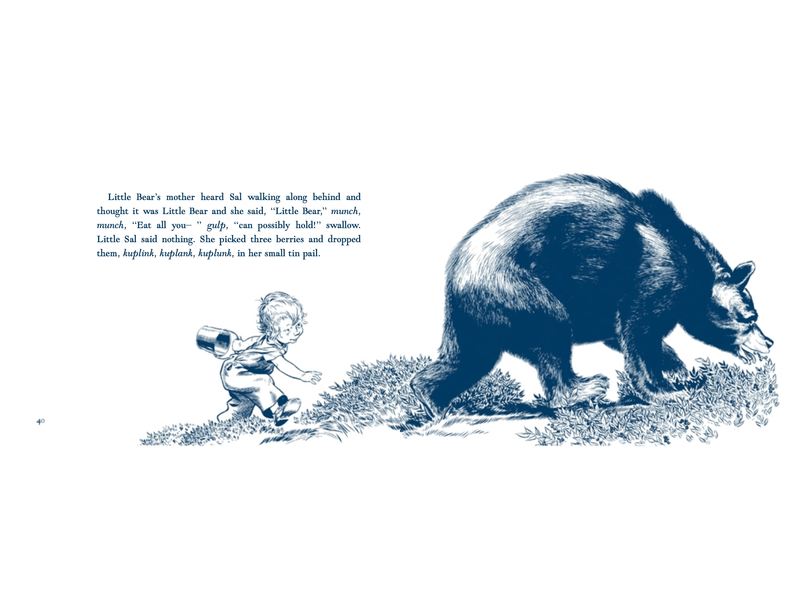 For those of you who might not be familiar with with this classic of children’s literature, Blueberries For Sal is a story of two mothers who each take their child up the hillside to pick blueberries. Sal and her mother were humans. The other mother and child were bears! They all love blueberries, and when the children get mixed up and start following the wrong mother…well, it’s a kind book and things get gently sorted out. If you haven’t read it yet, please do. 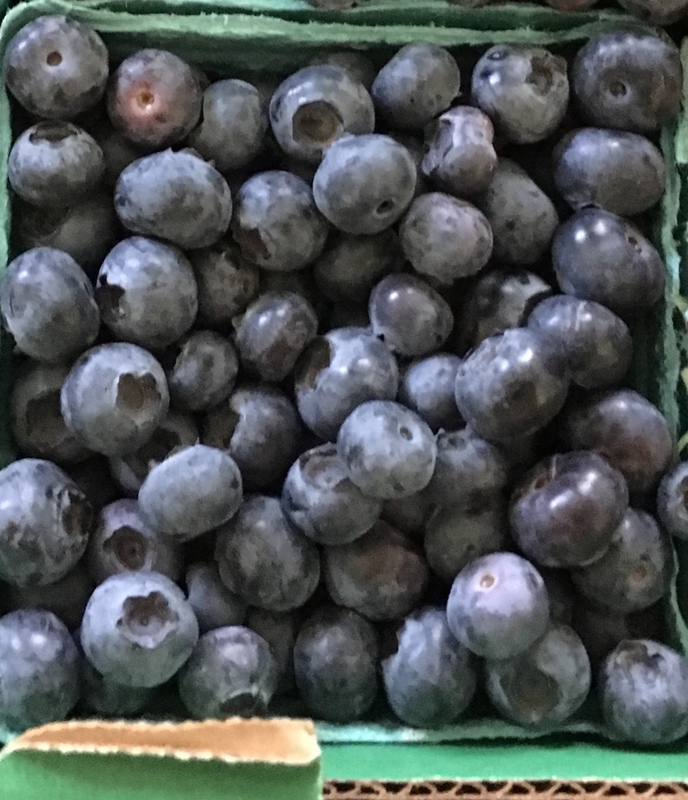 And have a container of blueberries to munch on while you enjoy it! This entry was posted in Birth year books, Children's books, Classics on August 10, 2018 by Robin. Robin_R has read 60 books toward her goal of 100 books.